Autumn has always been my favorite season of the year. Maybe because I was born in October? I don't know, but it's something about it. The smell of the leaves is something you can't put in words. The distinct crispness of the air sparks interest in lighting a fire and watching the sun set over the yellow, orange and red trees. Hoody sweatshirts. Early evening walks. Apple pie. Hot chocolate. And that's Autumn. Everything is so romantic about it, golden sunsets and rainy evenings. Stanley Horowitz said: Winter is an etching, Spring a watercolour, Summer an oil painting, and Autumn mosaic of them all. Have you ever stop for a minute and looked around? Have you ever listen to the sound of leaves? I love photographing Fall, I get so much inspiration. 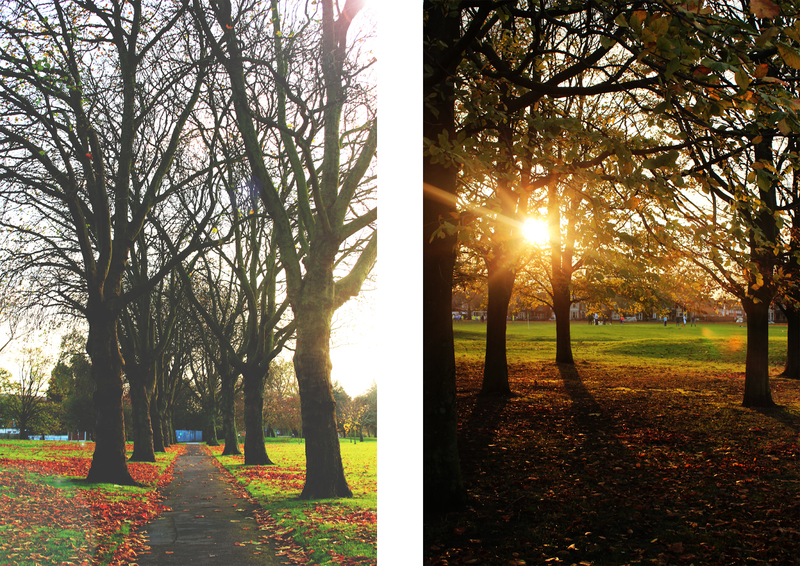 There is a part of me that will forever want to be walking under autumn leaves, carrying a cup of hot chocolate. Wool coats, plaid scarves and knitted hats. I love you, Autumn!